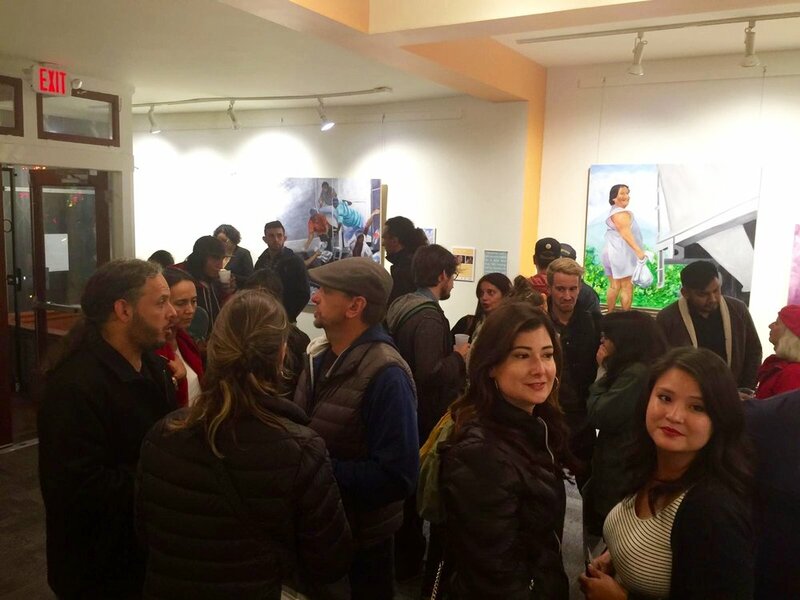 "All of Me" Film Premiere & "Mujeres Luz" Opening Reception last month @ the Roxie Theater in San Francisco. Thanks so much to everyone who came out to support this wonderful event! 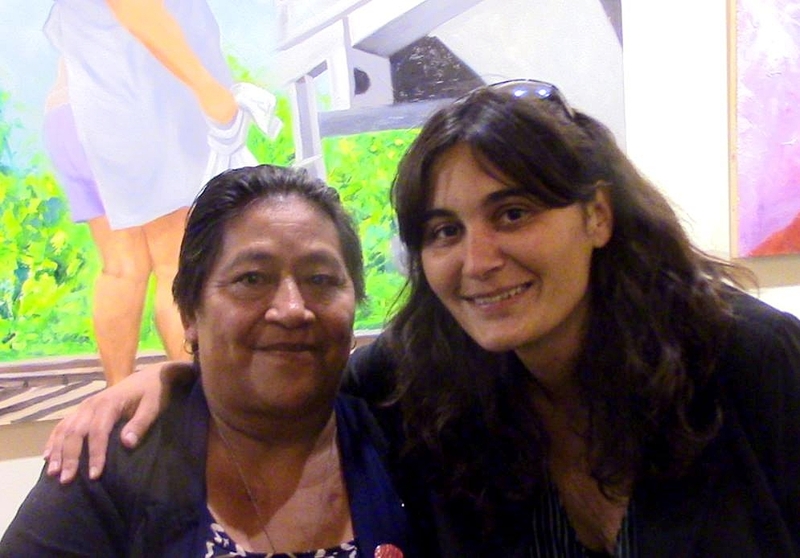 "Mujeres Luz" opening night following the film premiere of "All of Me" @ the Roxie Theater, San Francisco. 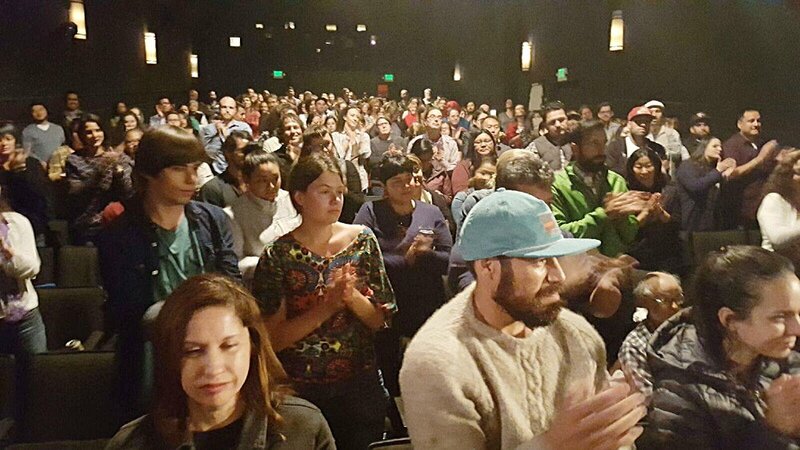 Sold out screening. 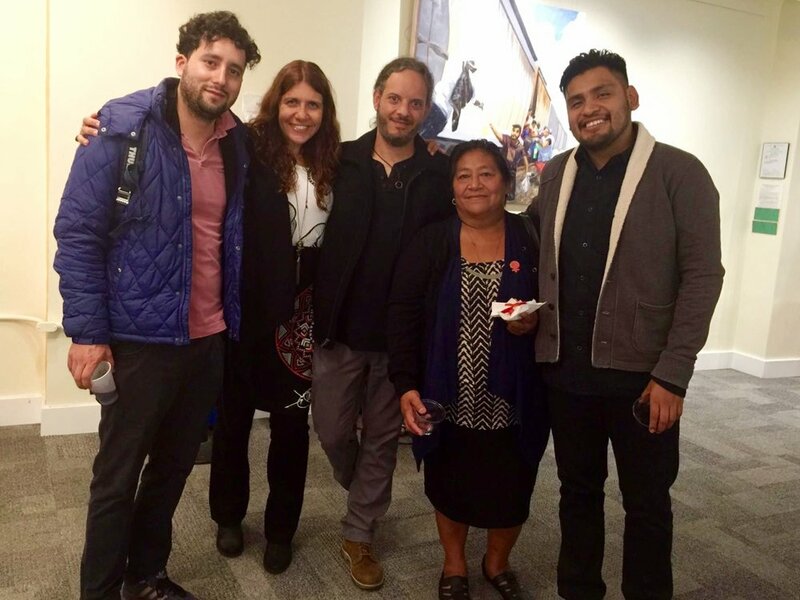 Patrona Lupe and filmmakers in attendance. "Mujeres Luz" opening night following the film premiere of "All of Me" @ the Roxie Theater, San Francisco. "Mujeres Luz" opening night following the film premiere of "All of Me" @ the Roxie Theater, San Francisco with Patrona Lupe and filmmakers Arturo Gonzalez Villaseñor & Antonio Mecalco. 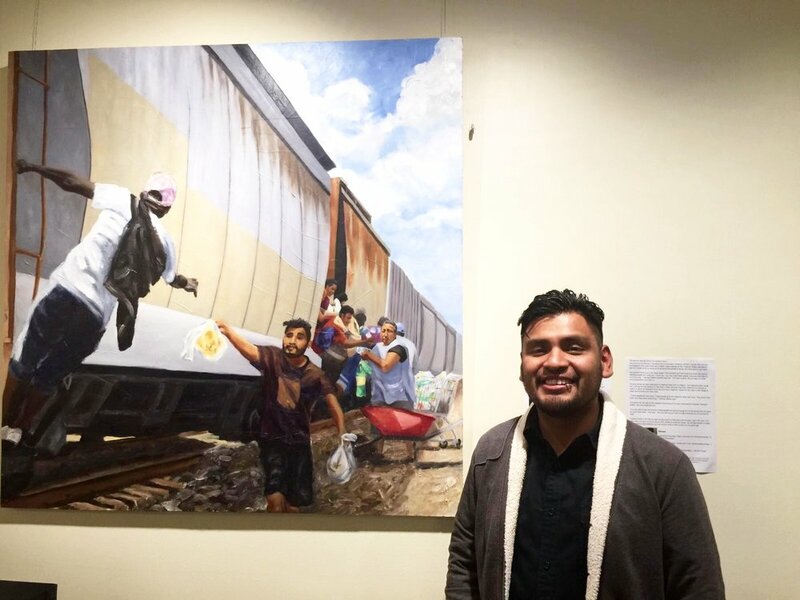 Director of photography, Antonio Mecalco and the painting "Todos Somos Compañeros" (oil on wood panel, 48"by 48") where he's portrayed feeding the migrants traveling on "La Bestia"
Patrona Lupe posing by her portrait "Lupe" oil on wood panel, 48"by 48"
"Mujeres Luz" opening night following the film premiere of "All of Me" @ the Roxie Theater, San Francisco with Joen Madonna & Allison Snopek of ArtSpan. 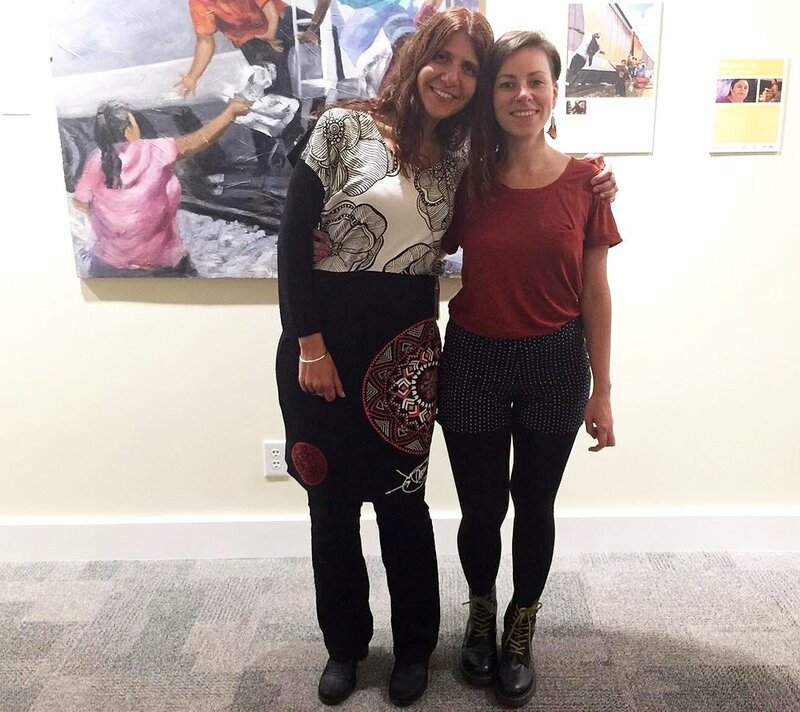 with filmmaker Victoria Montero, director of short film about "Mujeres Luz"
Short film by Victoria Montero about Talavera-Ballon's motivation to create this painting series. Panel discussion following the screening of "All of Me" at the Roxie Theater, San Francisco on Sunday Aug 7, 2016. 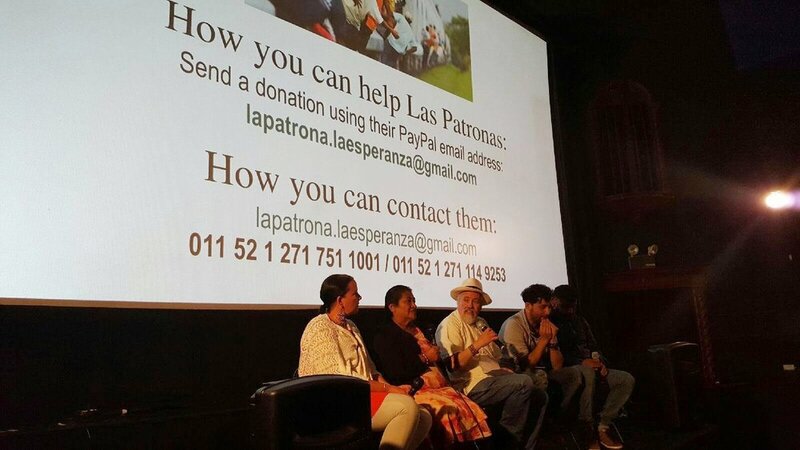 Panel discussion on immigration following the screening of "All of Me" at the Roxie Theater, San Francisco on Wed Aug 10, 2016 with Lariza Dugan Cuadra (Executive Director of Carecen), Patrona Lupe & Filmmakers and moderated by Jorge Bustamente, "El Pajaro Latinoamericano", KPOO.